One of the primary causes for short circuits in the electrical system is equipment that is not working or plugged in properly. Hence, all the electrical equipment in the house should be checked for malfunctions. Power switched on during any work on the home’s electrical system can be a major reason for shocks & accidents. Always switch off the main power during major electrical maintenance activities. In case of small power outlet related maintenance, always switch off the plug point and work. At times, warm power outlets can signal a variety of problems, from overloaded electrical circuit to shot up wiring. Hence, check all the outlets in the house once every month by placing your hand on the outlets in your home. Warm or hot outlets signal trouble. Always have a fire extinguisher handy in the house. Water is a good conductor of electricity & hence should never be used to put out any electric fire, big or small. Your old appliances might develop grounding issues as a result of normal wear & tear. This can put you at a risk of shock. Ensure all of your appliances have three-pronged plugs that can properly connect to a grounded outlet. Any kitchen appliances with just two-pronged plugs should be replaced. In case of any doubt, one should consider the help of an expert. Always reach out to a well-trained electrician if an issue seems out of hand and needs more intervention. GFCI’s shut off the electrical current from a circuit whenever it detects that the circuit has become a shock hazard. It is imperative that they are installed in the bathroom, kitchen and laundry room to avoid any mishaps. Extension cords should never be considered as a permanent source of power. Though they are great for temporary usage, but if you end up using an extension cord all the time, then you should think of getting an outlet installed instead. Always avoid overloading a single outlet. Outlets are made to put out a certain amount of energy. Multiple high-wattage appliances plugged into the same outlet can be very unsafe. If you can’t rearrange your appliances to different outlets, consider installing a new outlet to relieve some of the stress on the original outlet. Electrical work is hazardous if not handled properly. Professional electricians receive years of training and on-the-job experience before they start their careers as one. Use discretion when attempting your own electrical work. 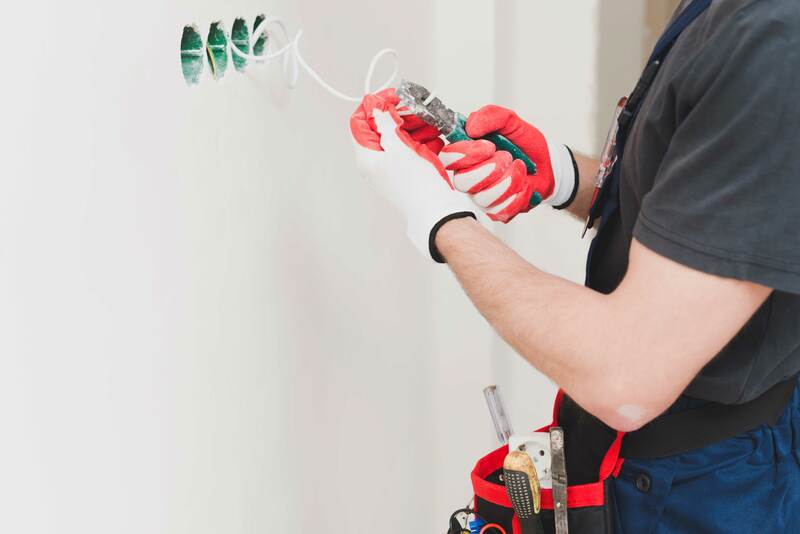 To make sure all the electrical systems in your home are safe, up to code and working as they should, hire a trusted electrician to handle the job.